"We believe and exercise a fair, ethical and transparent relationship with our clients, suppliers and employees"
"We believe and exercise a fair, ethical and transparent relationship with our clients, suppliers and employees". 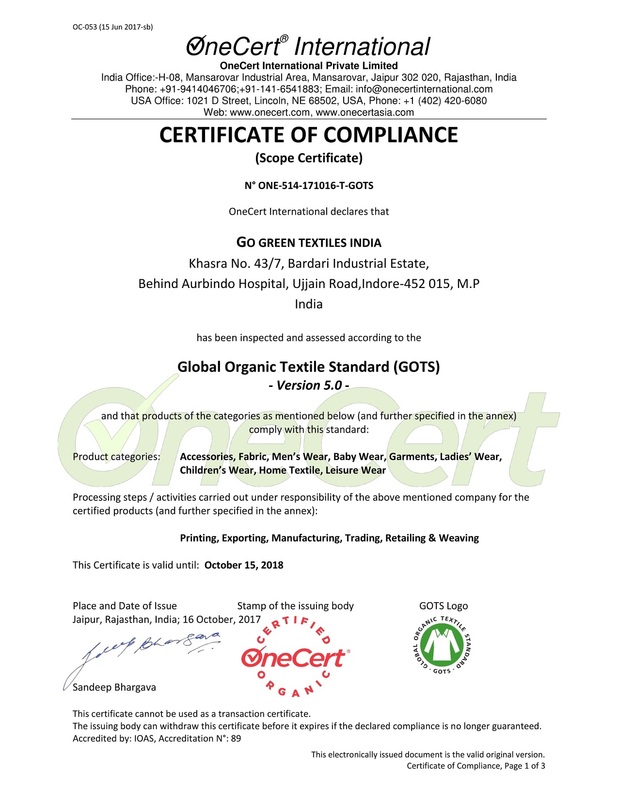 Go Green Textiles India is managed by professionals with a great experience into value added products such as Organic & Organic Fair Trade Cotton Textiles may it be Made-ups, fabrics, Yarn or Cotton. Being focused on Environment, we promote & educate to promote a textile which ensures less emission of toxins / harmful chemicals into the atmosphere. 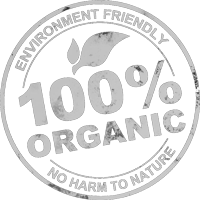 Organic being our specialty, our products & prices are a benchmark for the Industry. 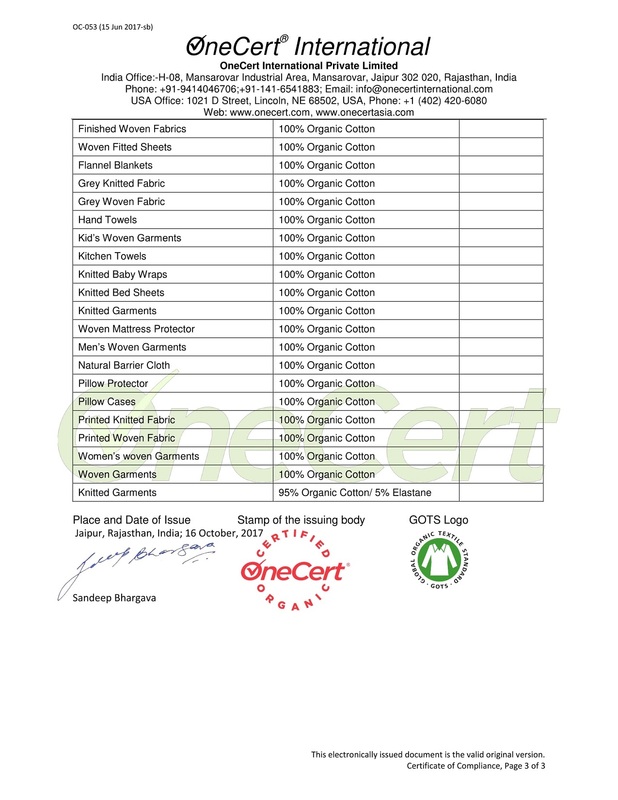 Our entire supply chain is certified on GOTS standards from "One Cert” the GOTS certifying agency. One cert ensures each & every manufacturing step involved is being exercised as per GOTS guidelines. Organic agriculture protects the health of people and the planet by reducing the overall exposure to toxic chemicals from synthetic pesticides that can end up in the ground, air, water and food supply, and that are associated with health consequences, from asthma to cancer. Because organic agriculture doesn't use toxic and persistent pesticides, choosing organic products is an easy way to help protect yourself. Acreage estimates for the 2006 U.S. cotton crop show approximately 5,971 acres of certified organic cotton were planted in the United States and in 2007, farmers planed 7,473 acres. 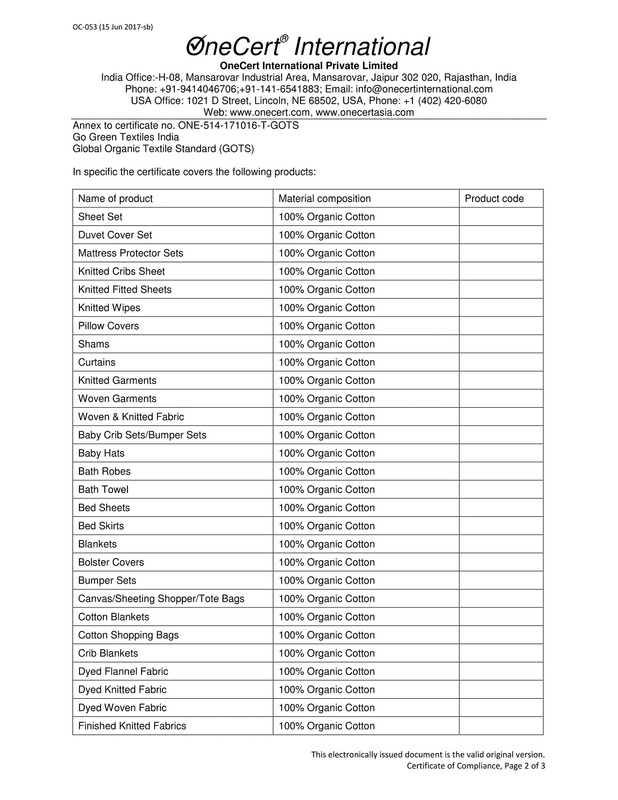 Internationally, Turkey and the United States are the largest organic cotton producers. Demand is being driven by apparel and textile companies that are expanding their 100% organic cotton program and developing programs that blend small percentages of organic cotton with their conventional cotton products. Here are some reasons why organic cotton production is important to the long-term health of the planet. Source : OTA's "2006 U.S. Organic Production & Marketing Trends" report. Quality monitoring at every stage of production starting from raw material to end product. Copyright © 2019. Go Green Textiles India | Organic Fair Trade Cotton Textiles & Value added products. All Rights Reserved.